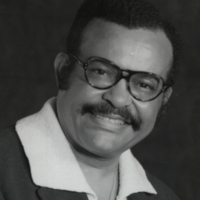 Jesse Champion (b. Aug 27, 1927, d.Nov 2, 2007), announcer WJLD/WERC – 1954-63/1970-90 Jesse Champion relates his history at WJLD 1400, and an incident that involved him during the Civil Rights upheaval of 1963. Jesse was well known in Birmingham, both as a school teacher at Councill School and as a jazz singer who performed often in Birmingham. The BBRM has one of his performances. 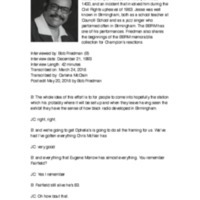 Friedman also shares the beginnings of the BBRM memorabilia collection for Champion’s reactions. 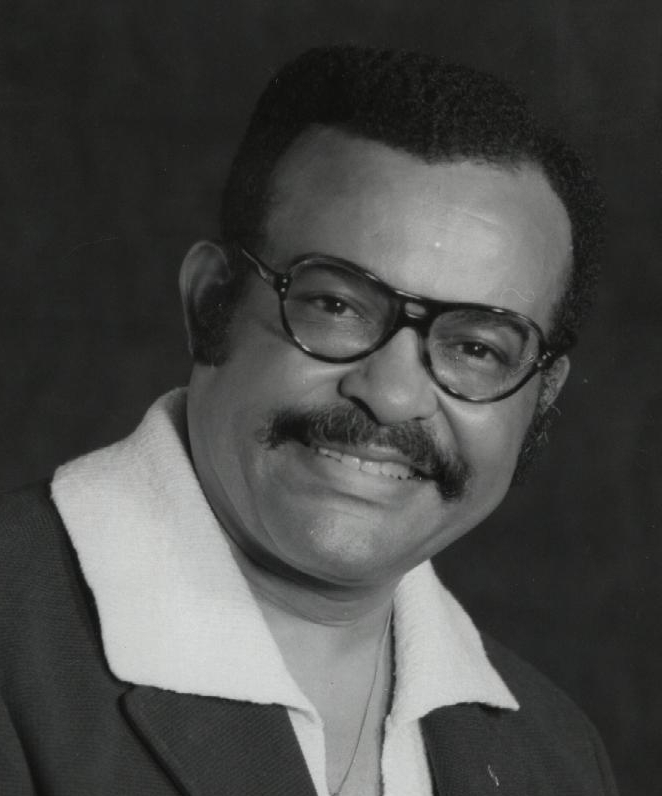 Jesse Champion- I think what really helped the black stations was the fact that people like Bobby Blue Band, Junior Parker, BB King and all would come to the Madison Night Spot, the Grand Terrace and that's where the blacks would go for dances. Bob Friedman- Where was the Grand Terrace? BF- you mean going north towards Memphis. BF- going west out toward Memphis. JC- yeah yeah that’s right. It was on the right hand side of the highway. BF-Is the building still there? JC- No It’s been torn down. JC- because he had cabins that he would rent out as well and he was.. he was tight with Bull Connor, he was one of the few places that could open on Sunday night and have big affairs and sell booze. BF- Unhuh. What was his name? BF- Foots Shelton and he owned the Grand Terrace. JC- He owned the Grand Terrace and then there was a Madison Night Spot on the Bessemer Super Highway. BF- We got a picture of it. JC- They still got the cabin standing out there. JC- A few of them anyway because when they had the big fire, it destroyed everything. But all the club dance, they had a whole lot of social and savings clubs have their dances at these places. And they would hear these artists. And on the Radio we would play there Records. BF- I had heard that um that we did remote broadcast from these places. JC- We did. That’s true. BF- How did we do it, we hook it up to the phone lines? JC- Yeah, Yeah that was it, hooked up to the phone lines. BF- God. Did you do it , you told me that you did, again..
JC- I did some of the remotes from some of the churches. JC- Bishop Roby’s was my Sunday morning church. BF- So you would basically hook it up? JC- The engineer would hook it up you know like the day before and everything was in readiness..
BF- And how, what would you do? JC- And would check in with the station, check in with the station well read the commercials. JC- You know for the people who sponsored it. 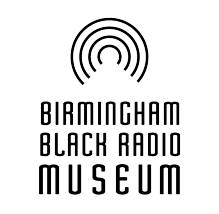 Bob Friedman and Jesse Champion, “Jesse Champion, Oral History,” The Birmingham Black Radio Museum, accessed April 21, 2019, http://thebbrm.org/item/19.